Looking for a home in the mile high City of Denver. The Denver housing market has been on an upward trajectory over the last few years and Denver home prices are near record highs. With over 300 days of sunshine per year, Denver has become an attractive place for technology companies, outdoor enthusiasts and real estate investors alike. Small 1 bed 1 bathroom home, located in SouthWest Denver blocks away from public transportation. Great for a fixer upper rental property. Plenty of driveway space. Great starter home or Investment property. Your chance for a big project to get creative and create opportunity. New roof and gutters, sunroom addition and extra closed in porch living area in back of the house. Laminate flooring. Close to I-70 redevelopment, and National Western Complex redevelopment. Park close by, ally access for 2 car garage. Large patio in backyard. Great opportunity. Hurry! Cute and affordable ranch style bungalow in Green Valley Ranch. Super corner location adjacent to greenbelt! Fabulous opportunity to have your own home or investment property! Private fenced yard & extra pad for additional parking. Close to DIA, Green Valley Golf course and easy access to Pena Blvd, highways & E470. Needs some TLC and updating but worth the investment! New developments and businesses are coming into the area, home values are increasing Home has good bones, new furnace, newer roof, approx $10,000 in new windows, newer furnace, newer roof and water heater. Living room is 23 feet long, so could potentially be divided to add 3rd bedroom. Great alley access, tons of off-street parking. Potential to finish attic space. Fixed up homes in the area selling for much higher. Location, location, location! Great potential. Good bones, cornet lot with large lot. Bring your tools as it is SOLD as IS. Westwood neighborhood allows ARV parking, zoned E-SU-D1X. Very nice affordable housing in Green Valley Ranch! Living space with bedroom and bath on the walk in level, living room and one more bedroom and a loft on the upper level. Kitchen is actually upstairs, perfect for dining on the balcony. Attached two car garage in a quiet neighborhood. Minor cosmetics needed to make it yours. $2000 carpet allowance with a full price offer! Seller is VERY MOTIVATED! Nice investment property for the right investor. Kitchen and bathroom already have been demolish. Property has new sewer, new plumbing, new roof. Seller will transfer at closing interior new doors as well as new windows. Great potential, must see! Welcome Home!!! Nicely updated bungalow new kitchen, new solid surface flooring on the main level, Newer roof and water heater. Nice back yard with huge covered porch, play house and storage shed. Amazing Investment Opportunity!! This property is being Sold "AS IS"
NEW listing in Adams Park. This home has new paint inside and out, newer appliances, with an oversized large garage. This home boasts a huge fenced yard. It has double pane windows, and is newly remodeled. It is walking distance to shops and transportation, schools and parks. Easy access to major highways and Downtown Denver. Great home with loads of potential to expand. Lot with tons of space for extra storage for auto, mechanic or RV parking. This home has been well maintained and welcomes a new family to begin making new memories. New fence around perimeter of the property and central A/C installed. Tons of potential with the upcoming Central I-70 project, next upcoming neighborhood. Cozy home in a quiet neighborhood. This home features 2 bedrooms and 1 bathroom and parking space for two cars. This home is well cared for and location is in close to shopping, stores, restaurants and parks. Great price for a great home. Seller need to find a replacement home. Cozy and bright 2 bedroom home in a huge corner lot. New low maintenance landscaping. The oversized detached 2-Car garage with large backyard. This home is centrally located with quick access to I-70 and I-25, Light Rail, busses, parks. Come to see it yourself and make it yours! Nice Home on Corner Lot with a Lot of New Features. Partial New Fence. New Inside and Outside Paint. New Carpet throughout the House. Storage Shed for Extra Storage Space. Radiant Stove, Refrigerator, Washer, and Dryer are Included. 2 New Ceilings Fans, New Water Heater, 1 Year Old Furnace. Wood Floor in Both Bathrooms and Tile in Kitchen. Minutes to downtown, huge lot and just the right amount of space. This charmer is on a deep set lot with long driveway, generous backyard space with shed and greenhouse. Two bedrooms, one bath featuring new cabinets and countertops in the kitchen, updated bathroom plus new siding and roof. The possibilities are endless, come bring your ideas and make it your own. WELCOME HOME!! NICE WELL KEPT MOVE IN READY 3 BEDROOMS LARGE PARKING SPACE FOR YOUR RV BOAT AND ANY TOYS OR COMPANY EQUIPMENT. NICE YARD SIZE TO GATHERING ON YOUR SUMMER. Now available in Green Valley Ranch is this charming and well maintained 2 story 3 bed 3 bath home. Enjoy the private backyard with a dog run, newer storage shed, and newer hot tub,( if you put in the right price ). It is located within walking distance of Green Valley Ranch golf course, within walking distance of parks to take the kids, and less than 2 miles to the A-Line light rail. This place is ready for you to call it home! NEW PAINT * NEW CARPET * CORNER LOT * LARGER YARD * EXTRA PARKING * IDEAL FIRST TIME BUYER OR SMART SIZE INVESTMENT * EXCELLENT MOVE IN CONDITION * LIGHT, BRIGHT & OPEN * SPACIOUS KITCHEN WITH BAR SERVING AREA * LARGE KITCHEN NOOK OR DINING ROOM SPACE * FIREPLACE WITH PLENTY OF SEATING AREA * JUST MINUTES TO LIGHT RAIL A LINE, DOWNTOWN DENVER, RESTAURANTS, ROCKIES, BRONCOS & AVS ! Great ranch home on a quiet street in Perl Mack. This home is a perfect way to get into the homeowner game. Very affordable and the perfect place to create lots of memories! Driving up you'll first notice the massive driveway and large garage opportunity. Enter into a classic layout, the great room is perfect for daily entertainment with the kitchen adjacent. Hardwood floors on most of the main floor. 2 bedrooms and a full bath on this level. Thanks for coming to our web site today highlighting Denver Homes For Sale. Right here you'll discover all the current MLS listed houses for sale in Denver, along with detailed home information, Google street views and local shopping and schools; far more information that most web sites show. We really strive hard to provide you everything you need to not only search for a residence, but to also make an educated decision on neighborhoods and communities based upon local features and amenities. If you have any questions, make sure to let us know. To help with find a local realtor or agent in our Denver location, we've supplied a list of all the agents in our Denver real estate office. To make your home search a little easier, we have actually separated all the MLS listings into price points. Register for a FREE Denver Home Monitoring account. It is quick, very easy, and gives you premium accessibility to new MLS homes listed in Greater Denver. You can save your personal favorite houses and tailor your own real estate searches. 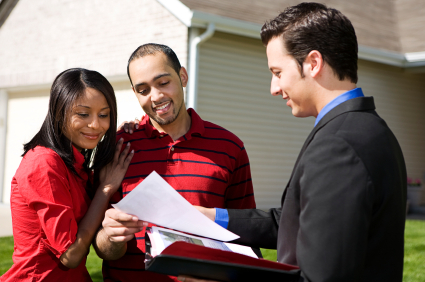 You'll be in the know, just like a qualified Real Estate Professional. Be sure to try out our "Smart Search" technology today! What Is My Residential Property Really Worth In Today's Denver Real Estate Market? Whether you are looking at selling your home, or just want to discover what your home might be actually worth, check out our "Home Valuation" tool below. This tool will enable you to quickly see what homes are selling for in your area, but also let you see closed home prices as well. The easy to use software lets you see average selling price, days on market and much more. Give it a try today and let us know if you would like an expert value evaluation on your house by one of our neighborhood real estate professionals. Ever Thought You Don't Need A Denver Realtor To Help You When Buying A Denver Home? Have you ever thought maybe you don't need an Agent? Many people are now utilizing the net to begin their house search and don't necessarily engage a local real estate professional until they are ready to prepare a purchase contract. Many home buyers think that they can maybe save money by working with the listing realtor and not involve an agent of their own. This is actually not a good way to approach buying one of the biggest and most expensive assets you'll own. First off, our Brokers are intimately familiar with the communities in which they work and can be a great resource when it comes to what the housing market is doing, as well as what's going on with the neighborhood and schools. Secondly, you ought to have your own representation in a purchase. Creating the written agreement is the easy part. What happens if there are challenges on the property inspection that requires more intense negotiations, or if they are problems with the home loan requiring an extension of the closing date. There are many moving components in a real estate deal, and having somebody who represents only your interests is a must. Our team puts our customers needs and interests first, and can be that champion you need in a difficult transaction. Be sure to talk to us today and get connected with one of our local Agent team members. Want Some Help From The Best Denver Realtors? The Cascade Team neighborhood pages are your local source for houses for sale, open homes and sold buildings, along with regional demographics, community amenities and regional schools. Each of the listings revealed on our website has all this valuable information so you can see all the factors influencing your choice on your next home purchase. In addition, you can also see all homes for sale broken down by cost point. If you wish to specify your search more, you can utilize our sophisticated house search device right here. On a mobile device, jump over to our mobile platform and see all homes close by using our GPS house search. Trying to find local advice from a Denver Realtor in the area? No housing web site, large or small, can replace a top notch local realty specialist. Not even ours! This site is filled with manner ins which you can call us for one-on-one specialist aid and advice. That's our job, and it's our pledge of Simply Outrageous Service to you our consumer. Be sure to check out all the Cherry Creek homes for sale and explore the neighborhood. Located close to Downtown Denver, shopping and I25. With a well known golf course and country club, and so many amenities, this area has become an attraction for many home buyers. Listing information last updated on April 21st, 2019 at 5:53am PDT. Listing information last updated on April 21st, 2019 at 5:49am PDT.